This is our local tour that takes place around our village and surrounding valleys. Our trails are pretty diverse. There are not many places like this, we have been looking for a very long time. From the Petzen flow trail – the longest in Europe, big mountain technical trails to lush single track. Some of the trails we have all to ourselves. We use a mix of uplifts, ski lifts and some climbing. Ljubljana is the best airport, just under an hour transfer. Klagenfurt, Graz, Zagreb and Trieste are also possible. Our valley has lots to offer, especially if you love nature and the outdoors. From our village we have lots of hiking trails into the mountains. Horse riding, road biking, fly fishing, kayaking and rafting. Relax at one of the local spas or the river beach and a dip in the river is a must when it’s hot. 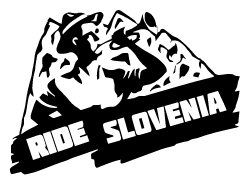 Transfers from Ljubljana and Klagenfurt. There is an extra charge for other airports.